At BBs Beauty and Brows we offer an array of fantastic facials and other relaxing therapies such as Indian Head Massage to lots of happy clients in the Leicester and Peterborough areas. Liaising closely with you to fully understand your needs, preferences and desires, we offer a range of services suitable for all skin types and allergies. A facial is extremely effective as a way of restoring and revitalising a tired complexion leaving you relaxed and refreshed. Our chic walk-in salons both offer a range of facial treatments including Mini Facials, Skin Booster Facials, Deluxe Facials, Aromatherapy Facials and even Masked Facials, all designed to revive your skin, mind and mood to leave you feeling soothed, smooth and rejuvenated. 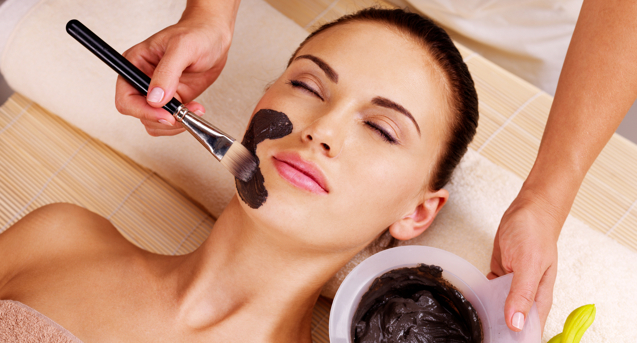 Restore your skin’s natural radiance with a luxurious facial at any one of our BBs Beauty & Brow walk-in salons. From a quick boost to a more intensive treatment our team of friendly and knowledgeable therapists will help you to achieve healthier, younger and brighter looking skin. Why choose an Indian Head Massage? Not only will an Indian Head Massage at BBs Beauty and Brow walk-in salon increase mobility and flexibility in the neck and shoulders it will also improve blood circulation and fantastic for reducing the effects of tension and stress. Combining a firm gentle rhythm, Indian Head Massages can also help to help unknot blockages and release the uncomfortable and distressing build up of tension many people experience. If you are suffering with pain or feel stressed and strained, why not call today and book yourself in for a fantastic Indian Head Massage at one of our chic walk-in salons?